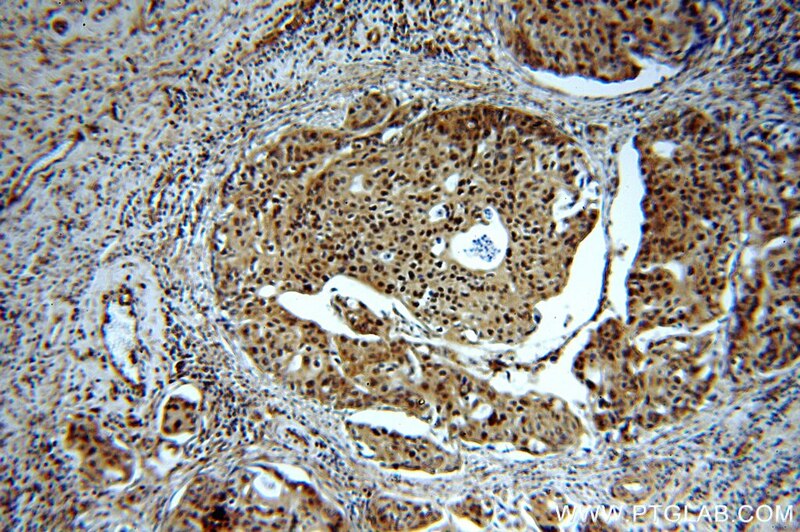 Immunohistochemical analysis of paraffin-embedded human cervical cancer tissue slide using 19532-1-AP( CDK1-Specific antibody at dilution of 1:200 (under 10x lens). 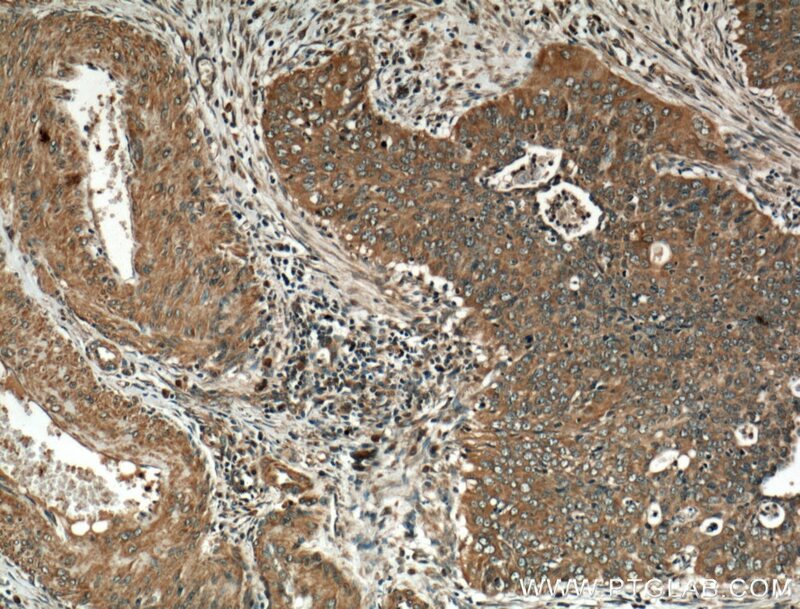 Immunohistochemical analysis of paraffin-embedded human cervical cancer tissue slide using 19532-1-AP( CDK1-Specific antibody at dilution of 1:200 (under 40x lens). CDK1, also named as CDC2, belongs to the protein kinase superfamily, CMGC Ser/Thr protein kinase family and CDC2/CDKX subfamily.CDC2 plays a key role in the control of the eukaryotic cell cycle. It is required in higher cells for entry into S-phase and mitosis. CDC2 is a catalytic subunit of the highly conserved protein kinase complex known as M-phase promoting factor (MPF), which is essential for G1/S and G2/M phase transitions of eukaryotic cell cycle. It is a component of the kinase complex that phosphorylates the repetitive C-terminus of RNA polymerase II. Mitotic cyclins stably associate with CDC2 and function as regulatory subunits. 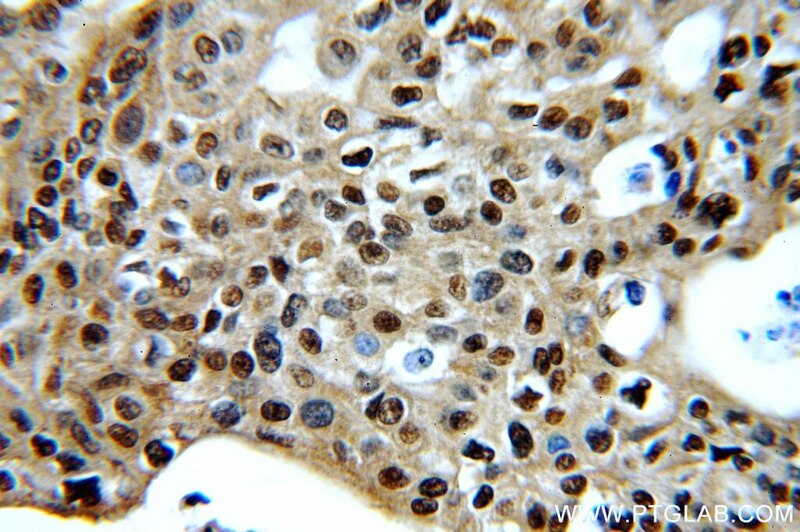 The antibody is specific to the 2 isoforms of CDC2. Brucine, an effective natural compound derived from nux-vomica, induces G1 phase arrest and apoptosis in LoVo cells. 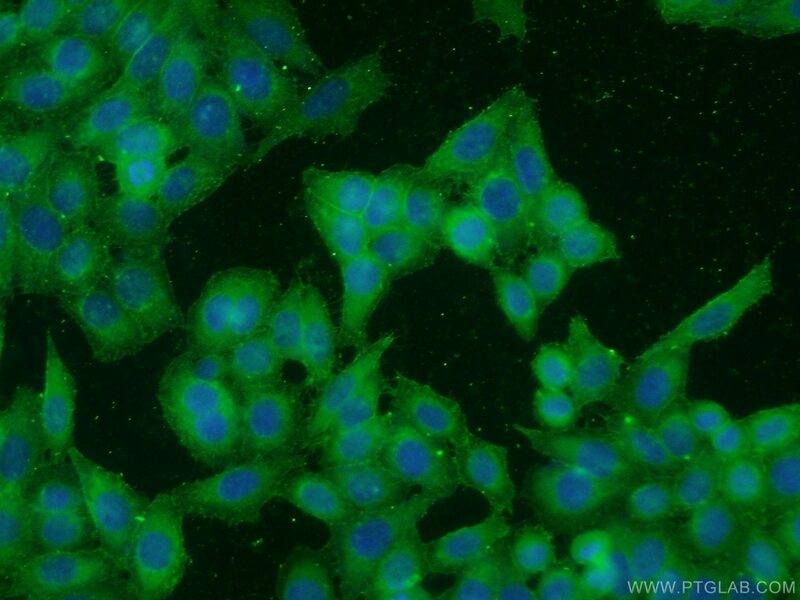 Trichostatin a targets the mitochondrial respiratory chain, increasing mitochondrial reactive oxygen species production to trigger apoptosis in human breast cancer cells. 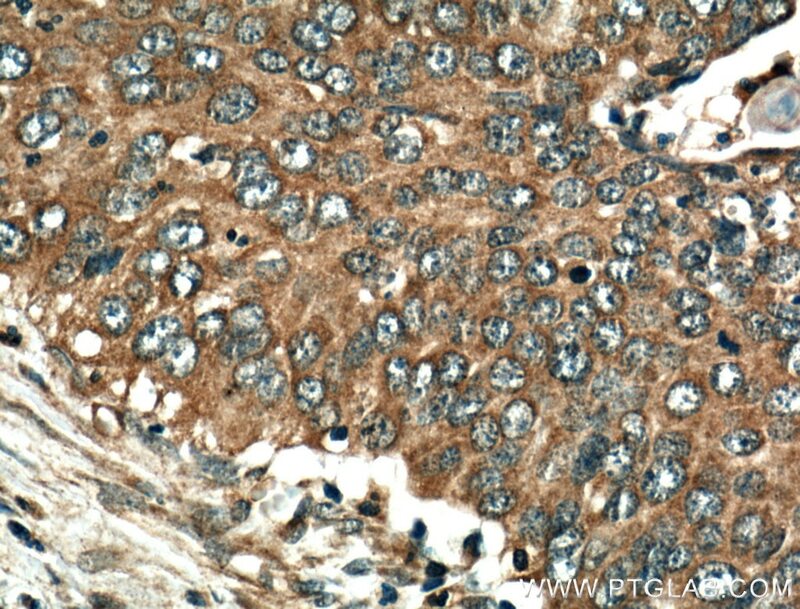 The involvement of CXCR7 in modulating the progression of papillary thyroid carcinoma. Eupolyphaga sinensis Walker inhibits human chronic myeloid leukemia cell K562 growth by inducing G2-M phase cell cycle arrest and targeting EGFR signaling pathway and in S180 tumor-bearing mice. Eupolyphaga sinensis Walker displays inhibition on hepatocellular carcinoma through regulating cell growth and metastasis signaling. Immature Colon Carcinoma Transcript 1 Is Essential for Prostate Cancer Cell Viability and Proliferation.